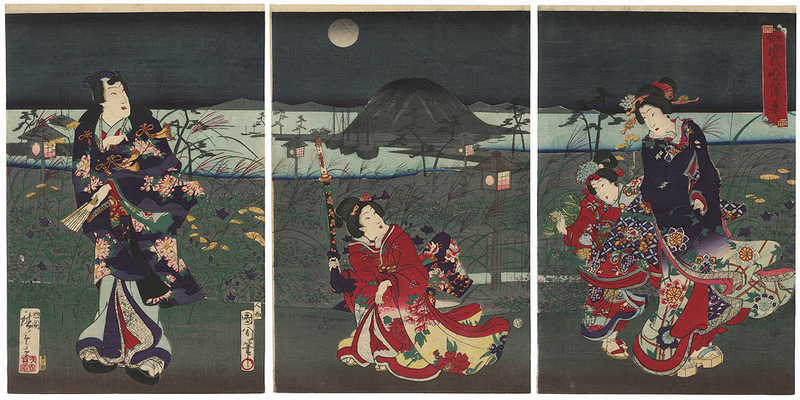 Comments - Attractive depiction of Prince Genji in a garden in autumn on a moonlit night. He stands at left, admiring the glowing full moon, wearing a purple coat patterned with cherry blossoms over a light blue kimono. In the center, a beauty crouches behind him holding his sword upright. Her kimono is shaded from red to yellow with large peonies. 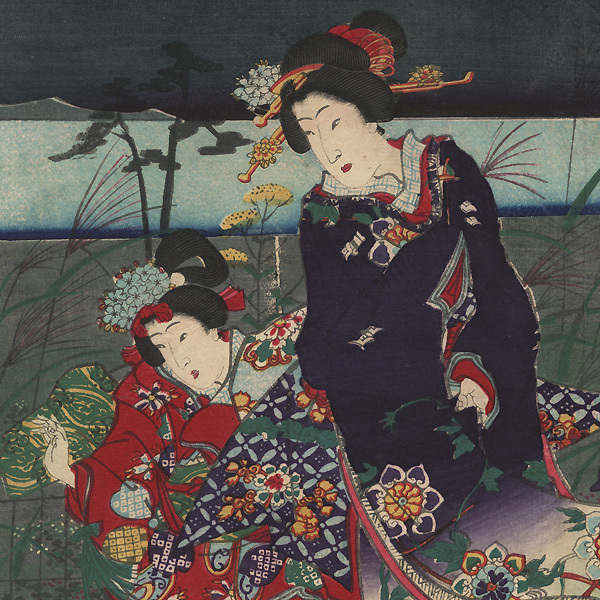 A beauty and a young girl pause at right to look back at her, the breeze blowing their kimono sleeves. Fall grasses and flowers provide a backdrop for the figures, with boats anchored in the harbor beyond next to a large rounded island. 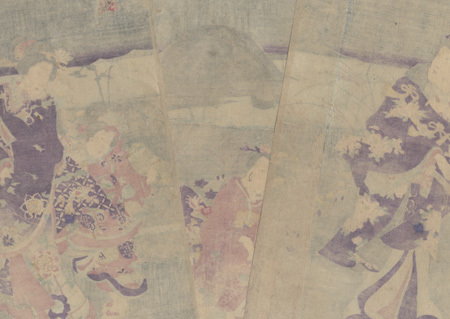 A handsome collaborative design with by Kunichika and Hiroshige III. A lovely scene with vibrant color. Condition - This print with excellent color and detail as shown. Three separate panels, backed with paper. A few small thinning spots and small wormholes, repaired. Slight soiling, light vertical line in one panel where backing papers meet. Please see photos for details. Good overall.